The Computerized Library Management System is a state-of-the-art library automation software program. It provides solution to the future of human knowledge. 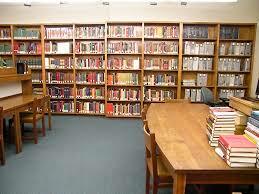 It converts your traditional library to a Digital Library as it can contain digital contents in it. The System has a built-in database capacity for storing unlimited number of books, journals, newspapers, newsletters, magazines, thesis papers, CD-DVDs etc. It has massive search engine option so that the user can find resource details by click to multi-dimension way. The management system includes excellent admin features for library member’s role, issue, receive and fine calculation system. The application generates various management related MIS and status reports to help management for smooth operation of the library.